Which animal will win the race and get the first year of the Chinese calendar named after them? 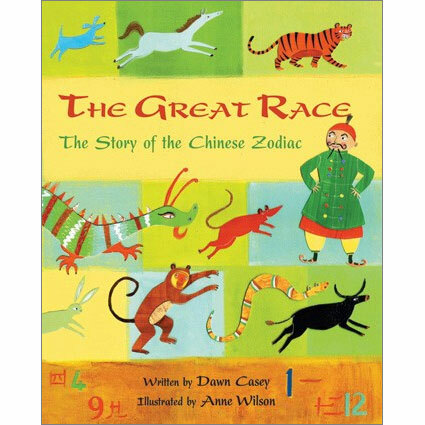 Race along with Rat, Monkey, Dragon, and their companions while discovering the origin of the Chinese Zodiac. 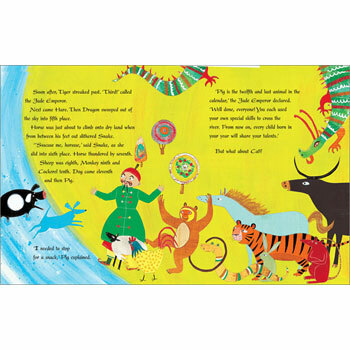 This bright and colourful book includes intriguing notes about the Chinese calendar, the festivals, and the animal that rules each year. 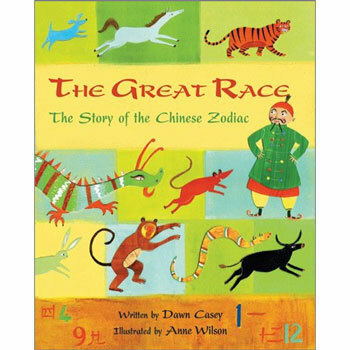 The Great Race: The Story of the Chinese Zodiac is aimed at children from 4 - 9 years and is a good introduction to Chinese culture.